Planning a trip to Africa can be daunting. With so many destinations to choose from, experiences to have and cultures to absorb, it can feel overwhelming. To help you narrow things down and give you some inspiration for your next adventure, here are 100 of the best places to visit in Africa and what to see and do once you’re there. South Africa is one of the top tourist destinations in Africa. It’s flagship metropolis, Cape Town, is the most beautiful city in the world, and the country is full of wildlife spotting opportunities. But besides the country’s wealth of incredible natural beauty, it’s also a melting pot of diversity. If you’ve never been to Africa, get your feet wet here and get ready to explore its cornucopia of attractions. 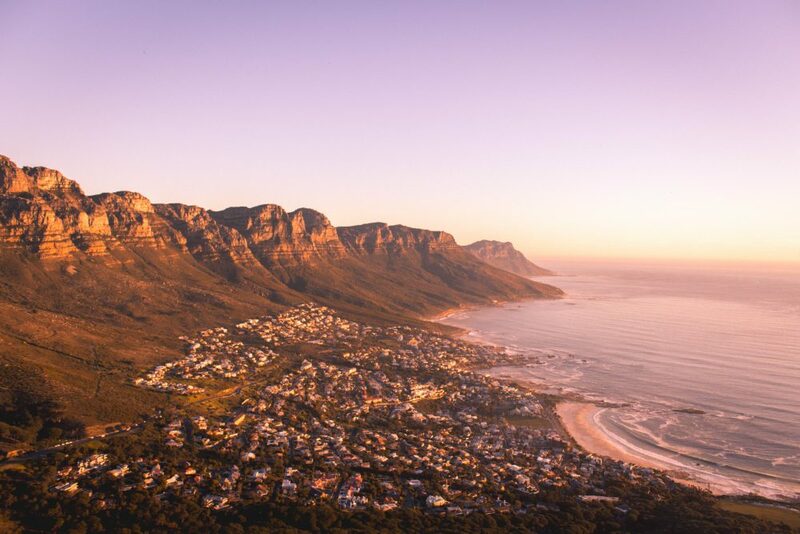 Climb to the top of Table Mountain and stay for an epic sunset. Visit Namaqualand during wildflower season. Grab your camera and try spot the Big 5 on a game drive inside Kruger National Park. Hire a car and explore South Africa’s famous Garden Route. Hike one of the country’s most renowned trails, the Otter Trail. Try traditional Cape Malay food and go to a braai. Hike up to Africa’s tallest waterfall, Tugela Falls in the Drakensberg. Jump Off The Bloukrans Bridge, the highest bungee jump in the world. Get day drunk on a wine tour through the Cape Winelands. Get your caffeine fix at the world’s best coffee shop, Truth Coffee in the heart of Cape Town’s CBD. Go on a day trip to Cape Point and explore the shipwrecks at the tip of Africa. Armed with pristine beaches, dazzling azure waters and incredible marine life, Mozambique is a top choice for beach bums. It’s also one of the best budget destinations in Africa for South Africans and international travellers. Explore Bazaruto Island on a day trip or spend a night at a luxury resort. 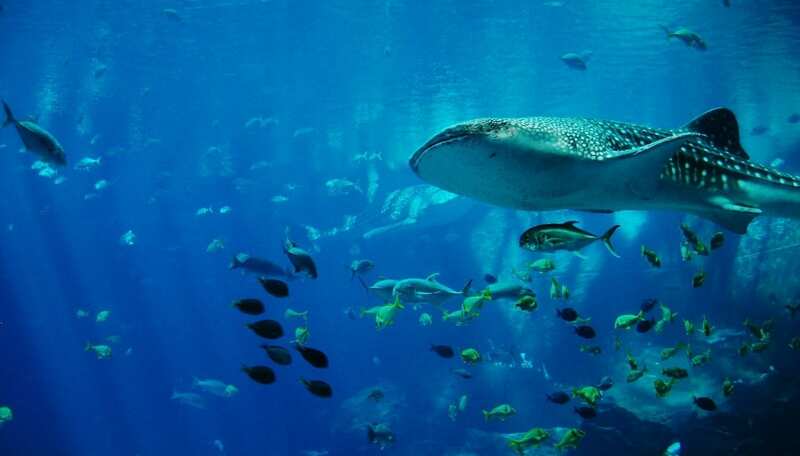 Swim with whale sharks at Tofo Beach. Try the local dish matapa with fresh prawns or sans meat. See Pemba’s colonial architecture and pristine beaches. Visit Gorongosa National Park for an unforgettable Southern Africa safari. Go on a guided walk through Niassa Reserve, one of Africa’s largest conservation areas. Discover the Island of Mozambique, once the epicentre of Portuguese East Africa and now a UNESCO World Heritage Site. Escape the city and head to the remote Inhaca Island for a day trip. Go diving with dolphins off the coast of Ponta do Ouro. Head to Mabu Forest and hike through one of the largest remaining primaeval highland forests in Africa. Since its tragic genocide in 1994, Rwanda has rebuilt itself into one of the top destinations in Africa. It’s considered the 9th safest country in the world and is home to critically endangered mountain gorillas. If you want to get a taste of East Africa at its finest, head to this tiny country and get ready to explore its vibrant culture, rich biodiversity and so much more. Go gorilla trekking or visit Dian Fossey’s grave inside the Volcanoes National Park. Visit Rwanda’s only Big 5 reserve, Akagera National Park. Learn about Rwanda’s past at the Kigali Genocide Memorial. Explore Lake Kivu, one of the world’s only three “exploding lakes. Spend some time visiting the city of Butare and see the impressive royal palace. Sign up for a day trip to Nyungwe Forest National Park, one of Africa’s last remaining high altitude tropical rainforests. Experience Rwanda’s natural beauty by hiking the famous Congo-Nile Trail. Summit Mount Bisoke, an active volcano that borders The Democratic Republic of Congo. Go on a sustainable tea plantation tour at the Pfunda Tea Factory. Namibia may be one of the least populated countries in the world, but that doesn’t mean it lacks attractions. Its arid desert landscape has become famous on the big screen in blockbusters like Mad Max: Fury Road and 2001: A Space Odyssey. Visit the Spitzkoppe granite peaks in the Namib Desert. Go on a game drive through Etosha National Park. Explore Fish River Canyon, one of the largest canyons in the world. Pay a visit to the world’s biggest ship graveyard on the Skeleton Coast. Tackle the sand dunes near Swakopmund. Watch 150,000 of Cape Fur Seals flock to Cape Cross for the breeding season. 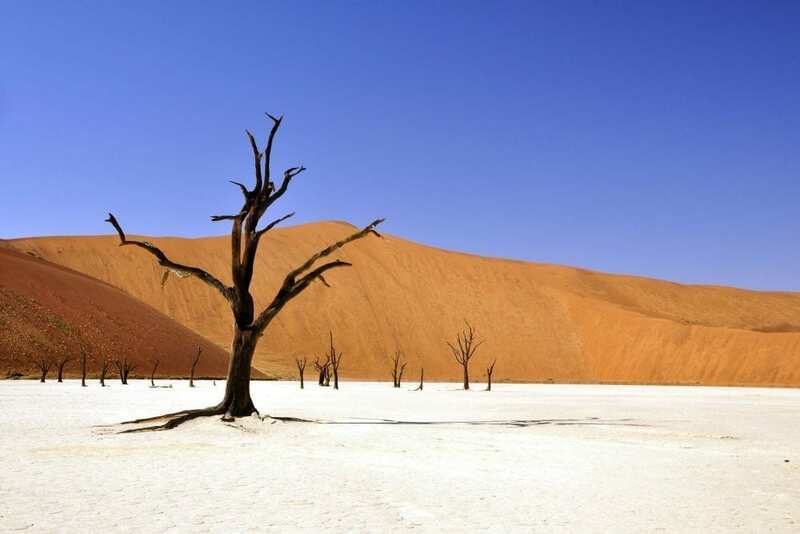 Watch the sunrise over Sossusvlei and visit the famous Dune 45. Go camping at Twyfelfontein and see one of the largest concentrations of rock engravings in Africa. Visit the ghost town of Kolmanskop. Spend a day kitesurfing along the coast at Walvis Bay. Watch the sunset over the Brandberg Mountain, the highest peak in Namibia. Kenya is one of Africa’s top safari destinations. Each year, more than a million wildebeest make their way across its vast plains to find water. This annual migration creates the perfect setting for epic wildlife viewings. It’s also home to the indigenous Masai tribe, famous for their warriors and nomadic lifestyle. Witness the “Greatest Wildlife Show on Earth” at the Masai Mara National Park. Explore Kenya’s own Machu Pichu, The Lost Town of Gedi. Visit the local Masai tribes and learn about their ancient traditions and culture. Summit Mount Kenya, the highest peak in the country. 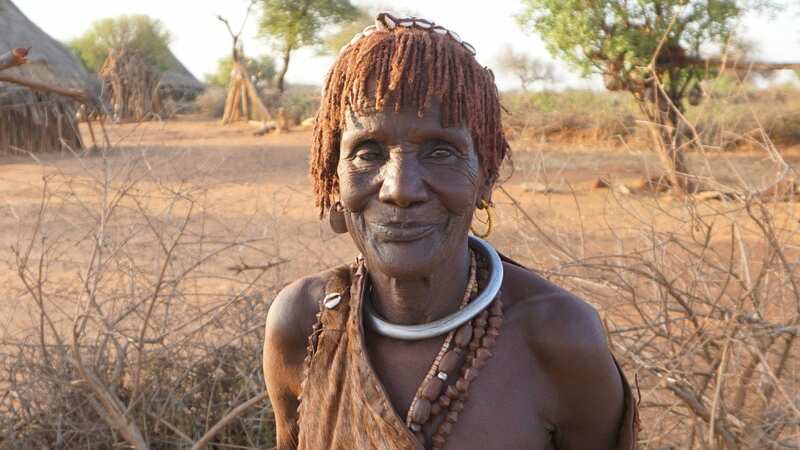 Discover the world’s largest permanent desert lake, Lake Turkana and meet The El Molo Tribe. Wander around Hell’s Gate National Park on foot and without a guide. Go on a safari at Tsavo, one of the largest national parks in the world. Watch almost one million flamingos flock to the shores of Lake Nakuru. Stay at Giraffe Manor and have breakfast with the endangered Rothschild giraffes. Experience some of Kenya’s best dive sites at Watamu Marine National Park. Ethiopia is home to some of Africa’s most unique historical attractions. From underground monolithic churches to a kaleidoscope of tribal cultures, Ethiopia is unlike any other destination on earth. Try the delicious traditional Ethiopian food. Visit the medieval holy city of Lalibela and explore it’s 11 monolithic churches built in the 12th and 13th centuries. Explore the lowest point in Africa and the hottest place on earth, the Danakil Depression. Go to the city of Harar on the Day of Ashura and watch packs of hyenas predict the future. Sign up for a walking safari inside Babile Elephant Sanctuary and visit the largest elephant herd in Ethiopia. Make your way to the Rift Valley and explore the seven lakes, hot springs and rich biodiversity. Go to The Blue Nile Falls and walk across Ethiopia’s first stone bridge built in the 17th century. Experience the unique culture and traditions of the Omo Valley tribes. Visit Gondar, a UNESCO Heritage Site known as the Camelot of Africa. Over the last few years, Morocco has become a popular Instagram destination and one of the best places to visit in Africa. From its bustling markets, intricate architecture and breathtaking natural beauty, there’s a seemingly endless amount of things to add to your bucket list. Ditch the heat and visit Morocco’s ski resorts in winter. Visit the small village of Merzouga and stay with the nomadic Berber tribe in the Sahara Desert. 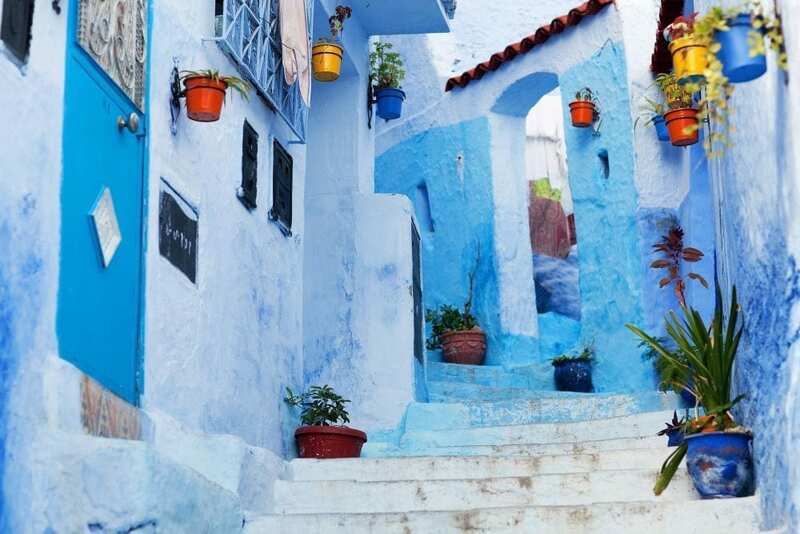 Stroll through the blue streets of Chefchaouen, located in Morocco’s Rift Mountain range. Learn to cook traditional Moroccan food at one of the riads in Marrakech. Relax in a traditional Hammam bath near one of the mosques. Catch a wave on the coast of Taghazoute, one of Morocco’s most popular surfing towns. Bring a good pair of hiking shoes and go trekking through the Atlas Mountains. Stay in a private riad and have your breakfast on a rooftop terrace. Marvel at the impressive Hassan II Mosque in Casablanca. Travel back in time at Morocco’s top Roman ruin site, Volubilis. Tanzania is the ultimate destination for trekkers. It’s home to the highest peak in Africa which is the easiest of the seven summits to complete. But it also boasts rich biodiversity both on land and in its waters that make it one of the most visited places in Africa. Summit the highest point in Africa, Mount Kilimanjaro. Visit Serengeti National Park, Tanzania’s largest national park. 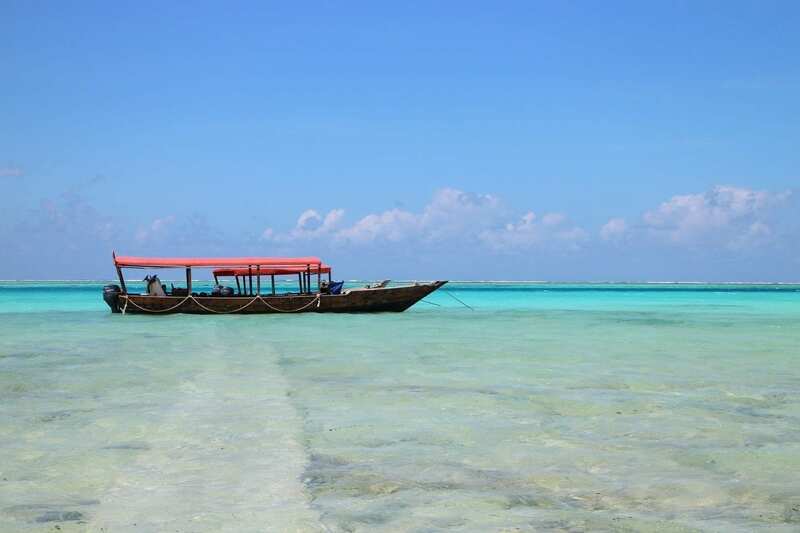 Take a ferry over to Zanzibar and relax on the island’s pristine beaches or explore its underwater heritage. Go to Ngorongoro Conservation Area for wildlife viewings and to learn about humankind’s early beginnings at the Olduvai Gorge archaeological site. 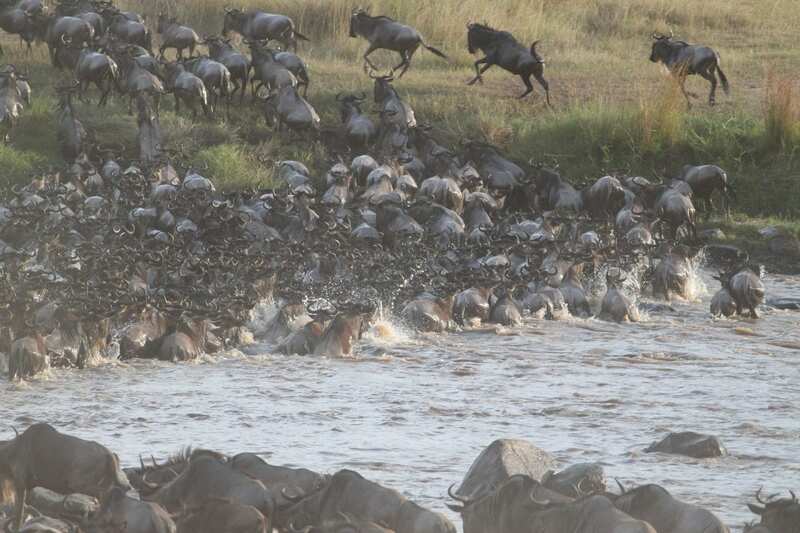 Watch the annual migration of over one million wildebeest inside the Serengeti National Park. Go diving at Mafia Island Marine Park and explore the excellent coral gardens. Avoid the crowds and visit the less popular Pemba Island and learn about the juju traditions of medicine and magic. Wander around Zanzibar’s ancient Stone Town, the world’s oldest functioning Swahili city. Climb Mount Meru, the second highest mountain in Tanzania and one of the most spectacular volcanoes in Africa. Spend a night inside The Selous. It’s Africa’s largest reserve and is UNESCO World Heritage Site. Africa is a huge continent and is so much more than the nine countries above. I could spend hours talking about the destinations I’ve been to and the ones I still have yet to discover. So here’s a quick roundup of the top experiences in the rest of Africa that deserve a spot on any bucket list. Take a road trip to Lesotho and go snowboarding in the Mountain Kingdom. Make your way to Maletsunyane Falls in Lesotho, one of the highest single drop waterfalls on the continent. Witness over 10 million bats migrate to Kasanka National Park in Zambia. Go on a safari in South Luangwa National Park in Zambia – it’s home to the largest leopard population in Africa! Go on a sunset cruise along the Zambezi river. 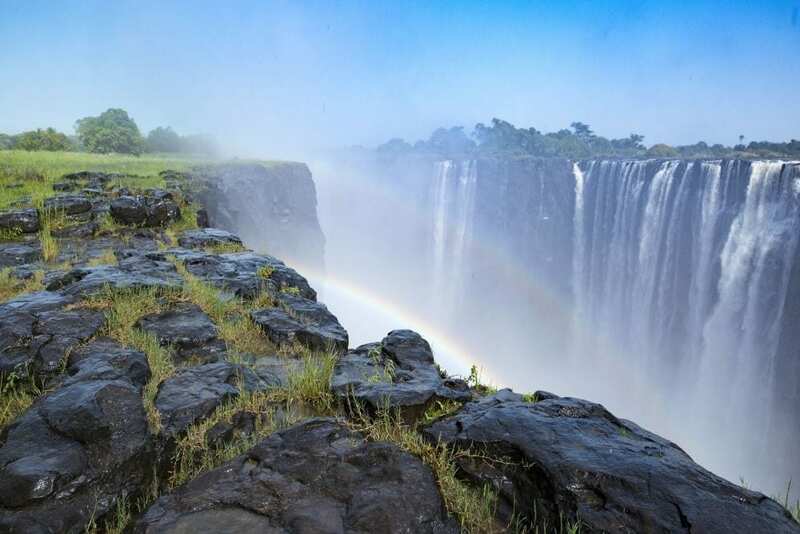 Marvel at the Victoria Falls from either the Zambia or Zimbabwe side. Bungee jump off Victoria Falls or tackle the Zambezi white water rapids. Swim in the world’s ultimate infinity pool, Victoria Fall’s Devils Pool. Marvel at one of the humankind’s most impressive architectural feats, Pyramids of Giza. Spend a day or two exploring the Egyptian town of Luxor and visiting it’s top archaeological sites like the Valley of the Kings. Head to Egypt’s coast and go diving in the Red Sea. Glide down the famous Nile River in a Felucca past relics of Egypt’s past. Hike to the summit of the Nyiragongo Volcano in the DRC and pear down into the bubbling lava lake. 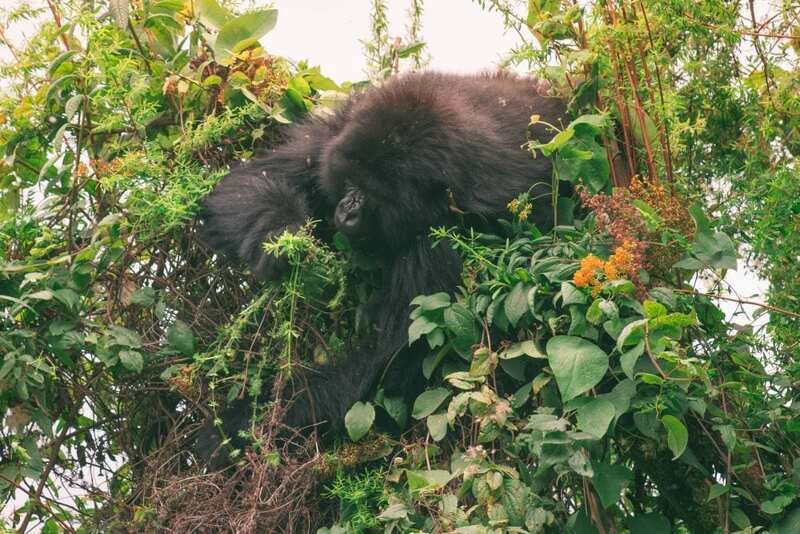 Plan a trip to Virunga National Park and visit the Congo’s critically endangered mountain gorillas. Experience Malawi’s musical side and attend the annual Lake of Stars Festival. Stay at one of the remote eco-resorts on an island inside Lake Malawi. Visit the famous Avenue of Baobabs in Madagascar. Explore the wrecks of pirate ships on the island of Ile Sainte Marie, off the coast of Madagascar. Take a day trip to Andasibe-Mantadia and see if you can spot all 11 species of lemur found inside Madagascar’s national park. See the unique Seven Coloured Earths in Mauritius. Hike through Black River Gorges National Park in Mauritius and try to spot one of the rarest birds in the world, the pink pigeon. Did I miss out any of the best places to visit in Africa? 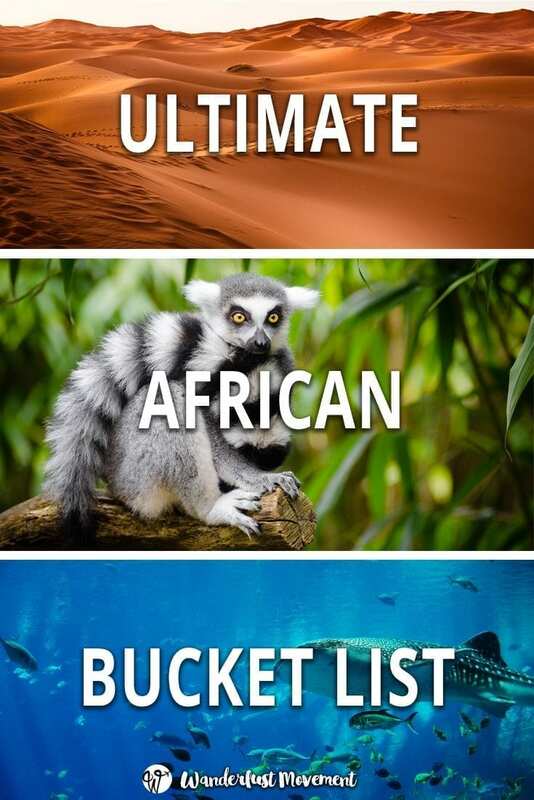 Let me know what you think deserves a spot on anyone’s African bucket list below! This is a fantastic post with so many awesome ideas and experiences, many of which I’ve never heard of. In particular I really want to visit Madagascar, Morocco and Kenya. Thanks for the inspiration! That’s great to hear Mike!